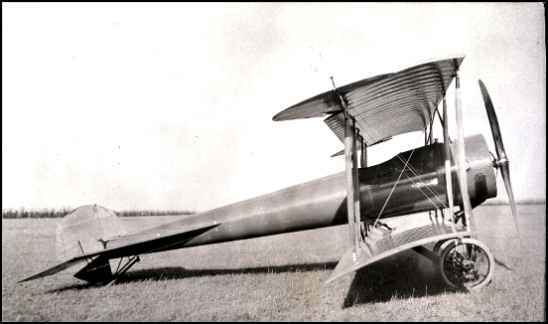 Collection of William Burke, Jr.
Chicago, 1919 - Billie's Plane #2. Built by Matty Laird. Small, high-powered stunt ship in which he made exhibitions at fairs over many of the mid-western states that summer. From left - Matty Laird & Billie. You will find several references to Billie, as well as several other pioneers in this article from the Magazine. 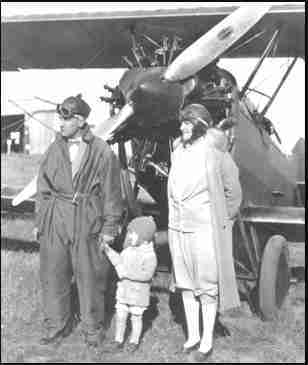 "There can’t be an aviator in this land who has not heard about Walter Beech and Clyde Cessna. But how many are familiar with these other names that were so important to the early days of aviation ? Jake Moellendick, Lloyd Stearman, Billy Burke, Matty Laird, and a 90-horsepower, water-cooled powerplant named the OX5? 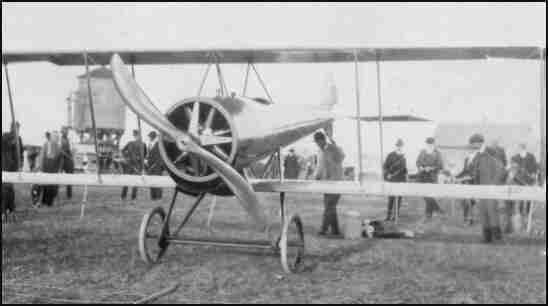 The history of aviation in Wichita is a long and complex story involving many pioneering pilots, aviation enthusiasts and companies, some short lived. In our limited space, this article will focus on just a few of the early highlights and seminal events that started Wichita on a flight plan to world prominence. 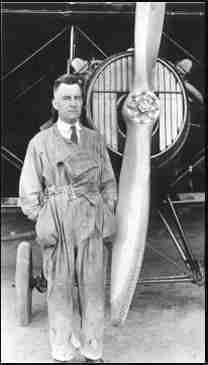 Early in 1911, Clyde V. Cessna, from tiny Rago, Kansas, went to New York and stayed for a brief period learning how airplanes were built. 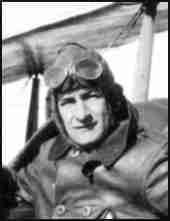 He then went to Enid, Oklahoma where he built one airplane a year and started his barnstorming career. 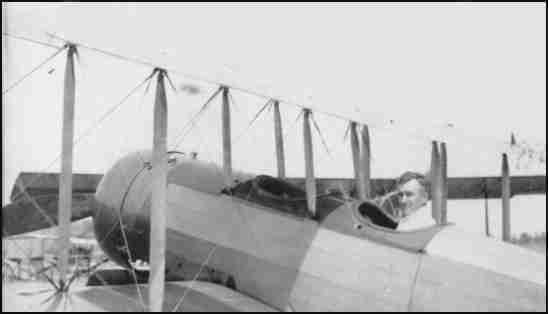 In the Fall of 1916, he moved to Wichita, and his first airplane built there took to the air in 1917. 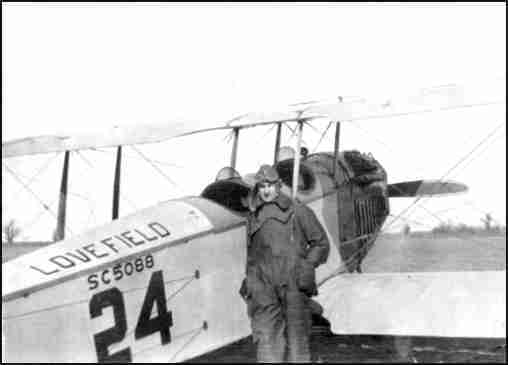 It wasn’t until after 1919, however, when there was a multitude of aviators who had been taught to fly during World War I, that aircraft manufacturing was of any consequence. That year marked the start of the aircraft industry in a most unlikely place - Wichita, Kansas. 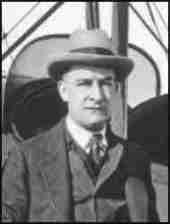 Many of those familiar with early Wichita aviation history consider a wealthy oil man from the East to be the "Father of Aerospace in Wichita." His name was Jake Moellendick, and he had migrated to Wichita by way of Okmulgee, Oklahoma. Among other business interests, Jake was the financial "angel" behind the Wichita Airplane Company, a barnstorming, joy hopping, flight training and taxi service. After becoming dissatisfied with the direction the company was going, Jake sent for Billy Burke, head of the National Exhibition Flyers, and made him the new manager. 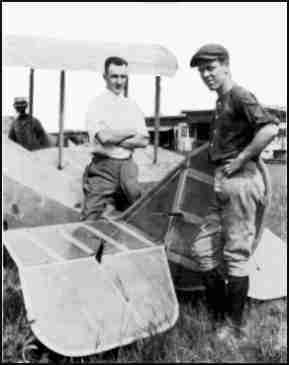 Burke then brought in airplane designer E.M. "Matty" Laird from Chicago, about the same time that Jake got a ride in a Curtis Hisso. That ride crystallized Jake’s vision of the mammoth potential for aircraft in business and commerce. 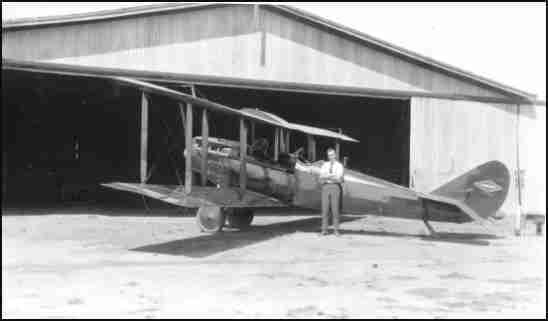 Shortly thereafter, the E. M. Laird Company, an airplane manufacturing business, was born. Matty, his cohort Buck Weaver and Billy Burke set about building an OX5 powered three-place, open cockpit aircraft. The OX5 was a proven powerplant, and war surplus OX5’s were plentiful and cheap. This was a most important consideration in early aircraft manufacturing, and therefore the OX5 engine was key to Wichita’s first steps toward aviation glory. 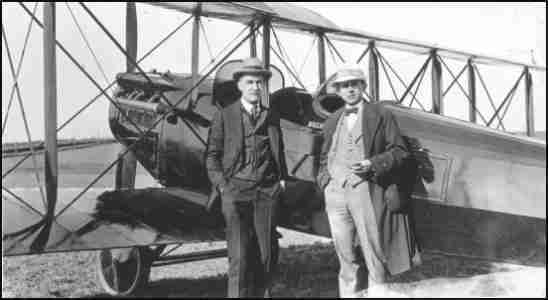 After several successful tests of Matty’s creation, they decided to build 10 aircraft per year, constituting the first solid action in commercial aircraft manufacturing. From that point on, Wichita’s die was cast." Editor's Note: Permission to reproduce these paragraphs from the article was granted by Mike Turner of WAVELINK Nes Magazine. We are very grateful to him for his courtesy. 1916 = 1pOB; 80hp LeRhône rotary. Built for Oklahoma car dealer William Burt. 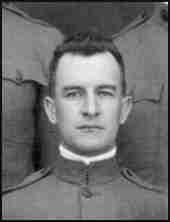 A Few Months Before His Accident in 1928. EMAIL FROM HIS SON, 3-22-02 Mr. Cooper: My name is William Andrew Burke, Jr. The early flier was my father. I was 5 years old when he died so he would have died in 1928 or 1929 as I am 78 now. He died when his plane which he was flying over a reservoir hit a high tension wire. The plane crashed into the water. His friend who was in the plane with him was able to get out and save himself but my father was unconscious and as the plane quickly sank, my father was assumed drowned. I really know very little about my father. I do have some photos if they would be of any use of any use or interest to you.